Maradhi Manni: Pets N Kids! Whether you are an animal lover or not, you will like these! 1. Posing for photograph! How will the baby feel, when he sees this when he is grown up?! 2. Mobile Stool! 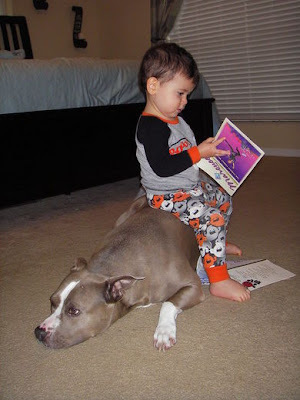 The dog must be used to acting like a stool! Looks comfortable! 3. 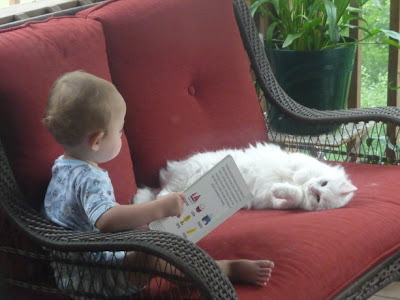 The baby is reading stories to make the cat sleep?! The cat looks so happy! 4. Who is the baby here? 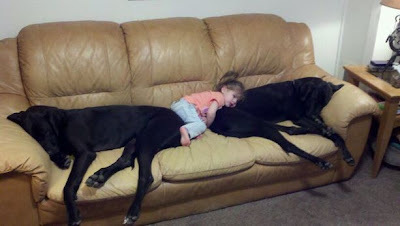 My niece used to lie down, keeping her head on Jerry, the lab, and watch TV! 5. Chin rest?! The dog is drowsy! 6. Eye to eye contact?! 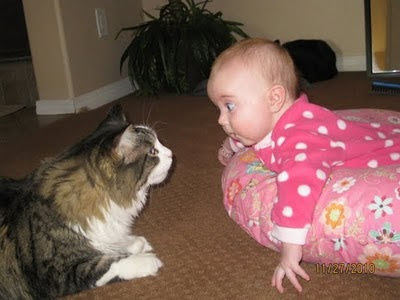 The cat looks matured and the baby is astonished and happy! 7. Our Koyla (black cat) used to sleep on my husband like this, but on his chest! He used to talk like lullaby to her...'neethaan inda veettu Queen Elizabeth, neethaan inda veettu Aishwarya Rai...etc.etc.' She used to enjoy the vibration of his chest when he talked, I think! She used to give back a small guttural happy sound for every sentence! 8. Who is enjoying, the girl or the dogs?! 9. The boy has finished reading one book and has taken another! The dog seems to be happy! 10. Both the faces resemble each other, don't you think so?! 11. I do this neck exercise, keeping my hand on the window grill! 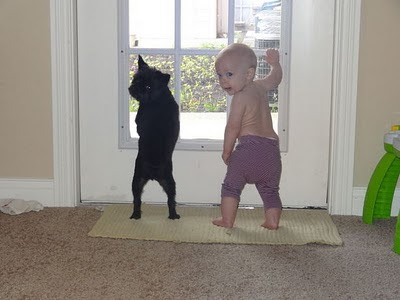 Both are turning and looking back with the same expression! Lovely picture! 12. One more chin rest! 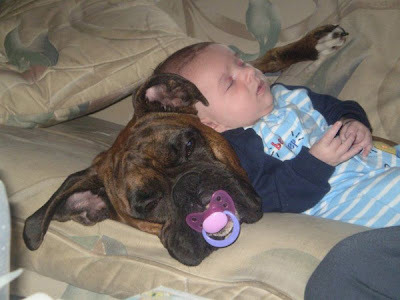 Both look happy and comfortable! 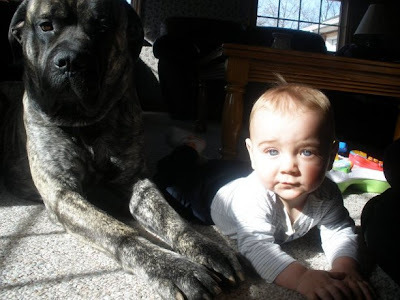 Do you feel like running and getting a pet for your baby now? Our Andy, the Pomeranian dog, was with us for 11 years and entertained the whole family. It is 16 years, since he is gone but even now I have got tears in my eyes, when I think of him! He was a very very affectionate dog! Thank you, Partha Sir, for the beautiful forward! I am sure every body will enjoy seeing the pictures. Let me remind you...only the captions are mine, here! All are welcome to give alternate captions please! wordsndreamz: I was worried! Thank god, I am seeing the pictures! This is the first time I am using a 'forward' mail pictures! SHAIL; Sorry, did a mistake. Copied the URL and posted from the mail. First time! Will have to store it first in the desktop and then post, it seems, son says. Sorry! Lovely pics.. I always loved these funny videos and pics.. Funny and entertaining.. Well, who's a man's best friend!! KANAGU: Yes, Andy's story will be out one day, Kanagu! VARUNAVI: Did Pinku and Varu see them, Saritha?! HEMA: Dogs are always dogs! No other animal can come near them in showing their affection and devotion, Hema! K.PARTHASARATHY: I should thank you for the mail, Patha Sir! Thank you! We enjoyed and now others are also enjoying! WORDSNDREAMZ: I am happy to know that Poohi also loved the pictures, Smitha! Has she started pestering you to get one puppy for her?! DESTINATION INFINITY: Yes, they are! Dogs are the best pets, D.I. 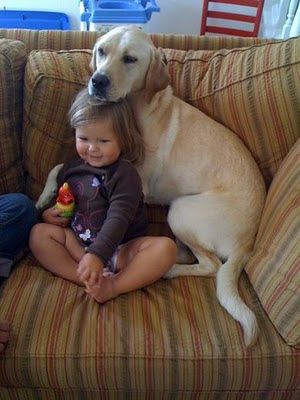 Awwwwwww !How Cute !We have a Lab at home but for some reason my daughter is very scared of dogs. Once my kids are back from school i am surely going to revisit this post .Truly AWESOME ! awesome Sandhya..no words to describe how cute they are..an innocent pleasure to eyes..just loved all of them. Hw are the cats dng Sandhya? Inspiring 'Live and let Live with Love". 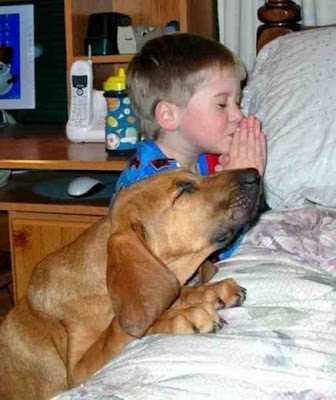 Every picture is very cut, the innocent child and the very compassionate pet. Too cute pictures, each of them. Love pets. Thank you Sandhya, for going through my blog post, your appreciation means a lot to me and my team. I loved the pictures. 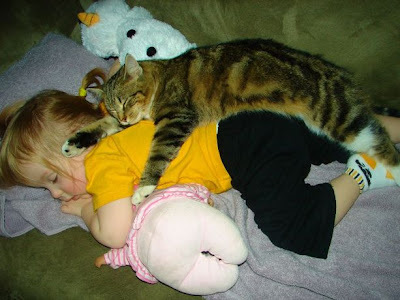 You know the one with the cat and the baby was so close to what happens at home. My daughter is very fond of cats and has them all around her bed. I must show them to her..! 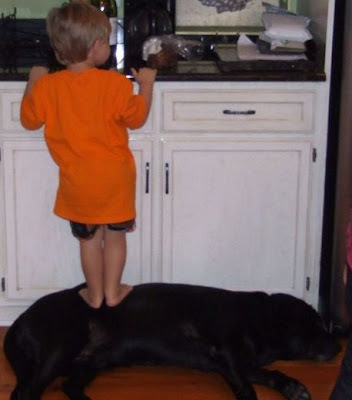 Pets and children are so endearing. KAVITA: She will change, I am sure! What was her reaction, seeing these pictures?! RENU: Thank you, Renu! I enjoyed first and am making others happy now! SWARAM: The cats are enjoying their life entertaining us and engaging us! ANYA; Welcome to my blog, Anya! Thank You! VARUNAVI: Hasn't she asked you to get one pet for her, Saritha?! SANTHOSH KUMAR: Welcome to my blog, Santhosh and thank you! RUPREKHA: Thank you, to you too, Ruprekha! I will definitely visit you often! MUHAMMAD ISRAR: I agree with you, Muhammad Israr! INDIAN HOME MAKER: Esp. nowadays, since most of us have just one or two kids. 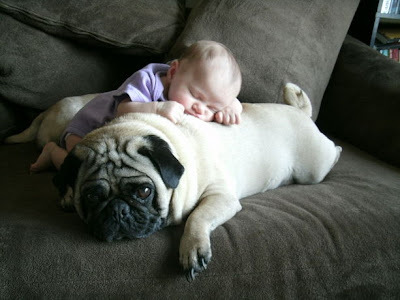 Sharing habit also will develop if they grow up with pets. MEERA SUNDARARAJAN: Did your daughter enjoy?! DEEPS: The comments show that many people like the baby and the cat picture, most, like you do, Deeps! You please get a pet for Namnam, she will grow up with it and will always remember how happy she was with her pet, like my sons do now! Our voices raise whenever we talk about our Andy! SM: I agree with you, sm! Came again to show them the pics,they asked me to show it. Since long pinks is pestering me for a dog,i tell her when you become a big girl i will get you..
VARUNAVI: Dogs are adorable, Saritha, but lot of work. 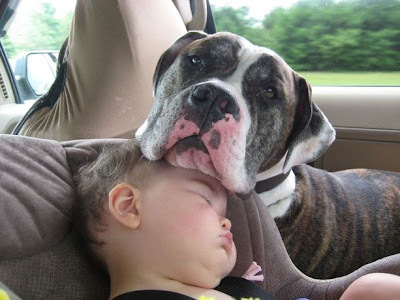 Still dog is worth it, for the way it expresses its affection to us.